As per Phoenix’s recent contribution,11 my research focus on later life physical activity and sport participation is not to champion such participation “…as the cure for all real and perceived social ills that accompany growing older in the 21st century.” That said, we know there are a lot of benefits to participation,12-14 and we know that many of us (both older and across the life course) are not meeting minimum recommendations.15-16 As such, it isn’t a case of hitting a certain age and disengaging, though this may happen for some. If we are looking to encourage – not morally obligate, but encourage – lifespan engagement in physical activity, this entails variable design and multiple entry points that invite people to begin or extend their physical activity engagement at any age or ability level. Later life is not the ‘typical’ time to take up a new physical activity or sport. Many older adults are carrying with them a particular body-self conceptualization that precludes or discourages activity participation. Put simply, for many out there, poor early physical activity experiences have durable, long-lasting effects. Indeed, for those learning a new activity/sport in later life, they are learning how to be active – or a new way of being in their body. In many cases, this requires a person to deal with novelty, a sense of uncertainty, and the provocation of cognitive reflection and deliberation about the physical body in a new environmental/spatial context.17-18 At the same time, with age comes the inherent acquisition of experience. Adult learners thus have a life-time of experience that informs their learning, even in new environments, and this experience can/should be considered where possible.19-20 To facilitate embodied learning with respect to new physical activity, there is a need to provide comfortable spaces for adults to navigate and explore new bodily sensations. The oft positioned ‘transformation’ from inactive to active is multifaceted and includes all of the pitfalls and rewards of learning a new thing, with new people. 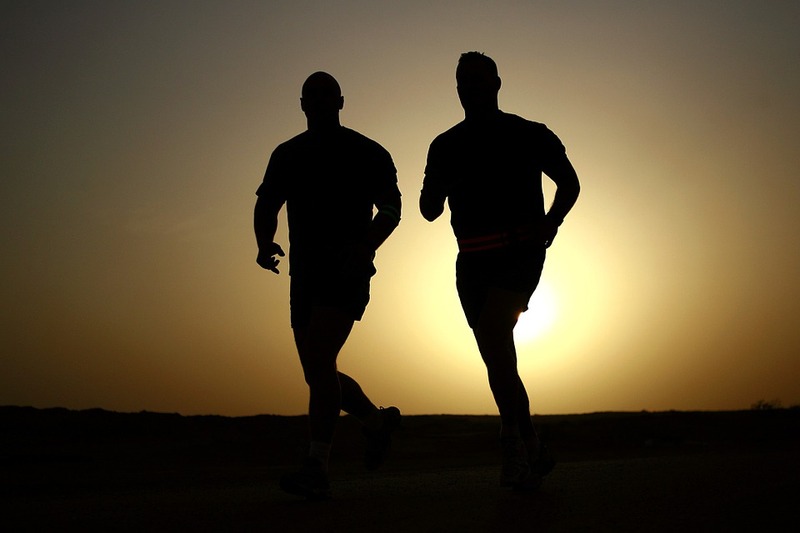 Becoming active following a period (or a lifetime) of inactivity is far more complicated that simply making the choice to engage, allowing your physiology to adapt, and over time improving your aerobic and/or cardiovascular function. The process from “I’m too old so I can’t” or “I’ve never been very good and I can’t start now” to “look what I can do” is riddled with set-backs and misgivings as much as it is with pride and self-satisfaction. My conversations with later life physical activity initiates elicited many nuggets of wisdom, one of which is that novelty is always a bit uncomfortable. Not everything tried will ‘fit’, and certainly it won’t do so immediately. The crucial thing is to conceptualize this not as ‘failure’, but rather exploration – and part of lifelong learning about oneself and one’s body. My research in this domain is underscored by the belief that there is a desperate need to go beyond the healthy/unhealthy, successful/unsuccessful, active/inactive binaries with respect to physical activity participation. Instead, it is imperative to seek to work in ways that facilitate joyful (enjoyable) lifelong learning – rather than discouraging it through a focus on progression, performance, and/or staying ‘young’ via participation. Doing so requires attention to embodiment in the practice and disciplinary intersection of health promotion, educational and critical gerontology and sociology of the body. Asquith, N. (2009). Positive ageing, neoliberalism and Australian sociology. The Australian Sociological Association, 45 (3), 255-269. Boudiny, K. (2013). ‘Active ageing’: From empty rhetoric to effective policy tool. Ageing & Society, 33 (6), 1077-1098. Chapman, S. A. (2005). Theorizing about aging well: Constructing a narrative. Canadian Journal on Aging, 24(1), 3−18. Holstein, M., & Minkler, M. (2003). Self, society, and the “new gerontology”. The Gerontologist, 43(6), 787−797. Katz, S. (2000). Busy bodies: Activity, aging, and the management of everyday life. Journal of Aging Studies, 14(2), 135−152. Laliberte Rudman, D. (2006). Shaping the active, autonomous and responsible modern retiree: An analysis of discursive technologies and their links with neo-liberal political rationality. Ageing & Society, 26(2), 181-201. Raymond, E., & Grenier, A. (2013). The rhetoric of participation in policy discourse: Toward a new form of exclusion for seniors with disabilities. Canadian Journal on Aging, 32(2), 117-129. Penedo, F.J., & Dahn, J.R. (2005). Exercise and well-being: A review of mental and physical health benefits associated with physical activity. Current Opinion in Psychiatry, 18(2), 189-193. Warburton, D.E.R., Nicol, C.W., & Bredin, S.S.D. (2006). Health benefits of physical activity: The evidence. Canadian Medical Association Journal, 174(6), 801-809. Physical Activity Council. (2016). 2016 Participation report: The Physical Activity Council’s annual study tracking sports, fitness, and recreation participation in the US. Available online: http://www.physicalactivitycouncil.com/pdfs/current.pdf [accessed 2016-10-13]. Statistics Canada. (2015). Directly measured physical activity of Canadian adults, 2007 to 2011. Available online: http://www.statcan.gc.ca/pub/82-625-x/2013001/article/11807-eng.htm [accessed 2016-10-13]. Dewey, J. (2011). How we think. London, UK: Martino. Freiler, T.J. (2008). Learning through the body. New Directions for Adult & Continuing Education, 119, 37-47. Roulston, K. 2010. ‘There is no end to learning’: Lifelong education and the joyful learner. International Journal of Music Education, 28(4), 341-352. 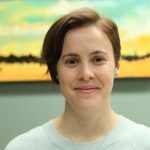 Dr. Meridith Griffin is an assistant professor at McMaster University who teaches in the Department of Health, Aging & Society as well as the Social Psychology program. Dr. Griffin has a background in Kinesiology, but her interests extend beyond physical fitness to more general questions around how people decide to do something new later in life. She studies the rich relationships among disability, accessibility, and social engagement via leisure and recreation. She does innovative work with narratives documenting the stories people tell about themselves, and looking at the ways people can “destabilize” self-perceptions, even after a long lifetime of conditioning. Using interviews, observation and ethnography, Meridith tries to get at the unseen inhibitors that hold people back from embracing something new – everything from fear of competition, to unease about defying society’s expectations. Dr.Griffin is driven not just by a desire to understand the limitations of the stories people tell, but also to create and disseminate more stories, and to create more capacity for people to get involved.